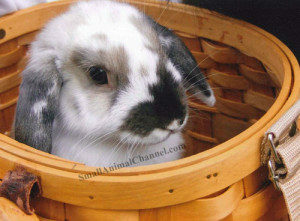 Who doesn’t love fuzzy little bunny rabbits with their little twitching noses? Although cuddly, these critters need much care. They are strictly herbivores and need to have a vegetarian diet complete with hay, kale, lettuce, carrots etc. Hay is a necessity because rabbits love to chew, and nibbling on hay maintains proper teeth wear and keeps their digestive system working properly. In addition to chewing on hay, bunnies need chew sticks and toys to keep their attention from cords, outlets and house plants that may be poisonous to the bunny. n the floor. But pay attention! They are inquisitive and can easily find trouble. If you would like more than one, the best pair of rabbits you can have is either two females or a neutered male and female. Bunnies are like cats in that they groom themselves to keep clean. 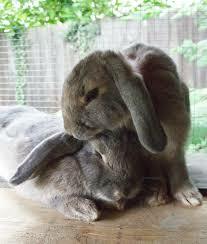 To increase a bond with your bunny friend brush them regularly with a soft, wire brush. Rabbits are quite the commitment because they live 8-12 years, so be sure you are willing to care for these pets for a long time. When picking a bunny for your home also consider rabbit rescues or your local animal shelter for cuddly friends waiting for a new home.